The book examines the aspects of focus within the recent minimalist paradigm. Focus is viewed here as a grammar's response to the requirements of the systems external to (narrowly defined) language. Thus, the properties of focus are explored at the two interfaces: syntax-phonology and syntax-semantics. The book surveys some recent views on the interface and left-periphery status of focus. With respect to the semantics of focus, the book argues for its tripartite division into: information, non-exhaustive identification, and exhaustive identification. 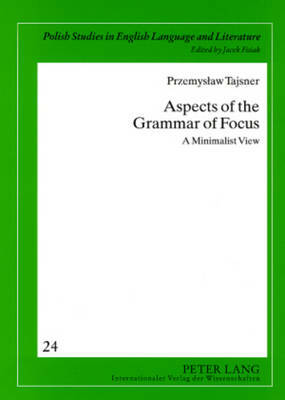 It further contains a proposal of the phase-based derivation of sentences featuring focus in English, and finally, offers an account of Polish, in which focus interestingly correlates with the phenomenon of scrambling.